An 11-year-old girl vanished in Northern California after leaving for school and local police officers believe she may be a runaway. 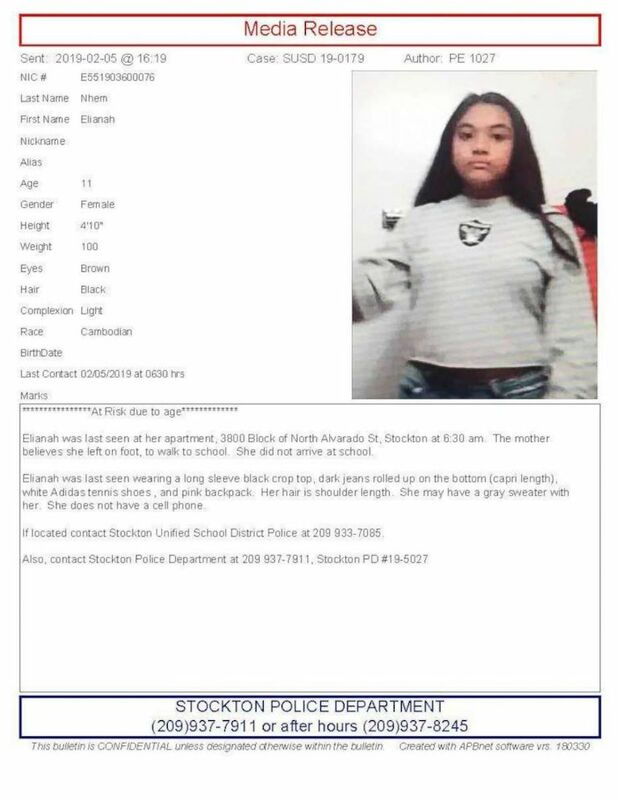 Elianah Nhem was last seen at her apartment in Stockton at 6:30 a.m. Tuesday, Stockton Police Department officials said. Elianah’s mother believes she left to walk to school but she never showed up, according to police. Elianah Nhem, 11, has gone missing in Stockton, Calif., according to police who released this image seeking help finding her. 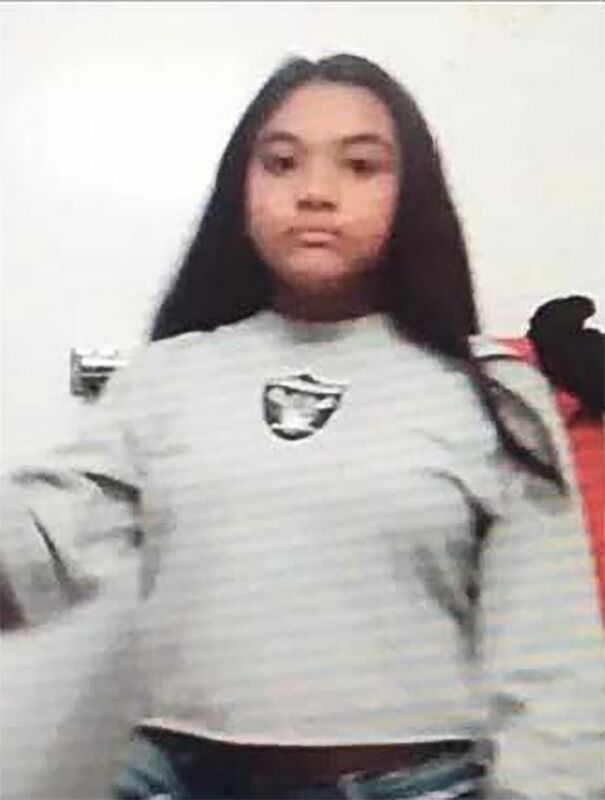 Authorities believe this may be a runaway case though it’s not clear why the 11-year-old might have left home, Stockton Police spokesman Joe Silva told ABC News on Wednesday. Officials do not know where Elianah is but are mostly focusing the search within her neighborhood and near her school, Silva said. Stockton is located about 80 miles east of San Francisco. Elianah Nhem, 11, has gone missing in Stockton, Calif., according to police. Elianah was last seen wearing a long sleeve black crop top, dark jeans and white Adidas tennis shoes. She was carrying a pink backpack, according to police. Anyone with information is asked to call Stockton police.